This article will discuss typical PPO Medicare Advantage Plans. Many times I come across clients who want to be able to have the flexibility of going to a specialist without having to see their PCP (Primary care physician). They either cannot qualify for a Medicare Supplement Plan because of health conditions or for some other reason they prefer a Medicare Advantage plan over a Medicare Supplement Plan. First of all, you need to know that a Medicare Supplement Plan is not a PPO. For more information on the differences, go here. How do PPO Medicare Advantage Plans work? First of all, as I stated before, a PPO Medicare Advantage Plan is still a Medicare Advantage Plan. A PPO Medicare Advantage Plan will have a network and members will need to select a PCP (Primary Care Physician) which is in-network. The advantage of a PPO is that the member can go outside the PPO Medicare Advantage Plan network if they are willing to pay higher copays and/or deductibles, and the annual Maximum out of Pocket (MOOP) may also increase when they leave their network. Additionally, the out of network provider must be willing to accept the terms and conditions of the plan. 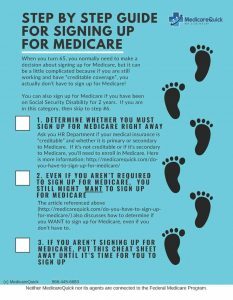 In my experience, however, the reason people choose the PPO Medicare Advantage plans is because they will have the freedom to see a specialist any time they want, without having to see their PCP first. PPO Medicare Advantage Plans will typically, but not always, have a higher monthly premium than an HMO Medicare Advantage Plan. Many times the monthly premium will be lower than the Medicare Supplement Plan F or G, which provides the highest benefit level of Medigap plans. For people who cannot afford a Medicare Plan F or G, and want a higher benefit level than the other Medigap policies, many times a PPO Medicare Advantage will suit their needs. The plan may not be available the following year because Medicare Advantage Plans are not guaranteed renewable. The plan can change from year to year. The insurance company could also decide to stop providing PPO plans or leave your area all together. Your in network doctor can decide to leave the network at any time. Just because you were paying in-network copays and deductibles at the first of the year doesn’t mean that you will continue with the same costs throughout the entire year. The plan is based on where you live. If you move out of the coverage area, you will have to select another plan, and a PPO plan may not be available in your new area. If that happens, though, you might be eligible for a Medigap plan with guaranteed issue. If your PPO Medicare Advantage Plan gets canceled, you may be eligible for a Medigap plan with guaranteed issue. For more information regarding PPO Medicare Advantage Plans, call us at 866-445-6683, or fill out our Contact Form.